Earlier this year I decided to enter the world of home embroidery, so that I could be more creative when personalizing bags, and to add a new element to my other design projects. While getting to know my machine, I started experimenting with making the appliqued and embroidered kids shirt that seem to be everywhere right now. It’s become a fun hobby, and my toddler is really into and likes to take charge of the designs of his shirts. How lucky am I that my 2 year old wants to design with me?! I’ve been hesitant to put too much focus on this in regards to my Etsy, because this is SUCH a saturated market…but I really like doing these! So, I’ve decided to add a few of my designs that my son and I have created, because there doesn’t seem to be many unique options when it comes to personalized shirts for boys. I hope to start adding these during the next two weeks. In the meantime, I’m happy to present my first offering: personalized sibling shirts! My first design features two appliqued birdies, singing a joyful tune to each other. They are stitched with red thread and black detailing; while modern in style, the raw jersey edges add texture and give it a little bit of grit. The Big and Lil’ sister phrasing can be traded out for brothers, and your child’s name will carefully be incorporated into the design. Check it out in my Etsy shop, and order early for the holidays! 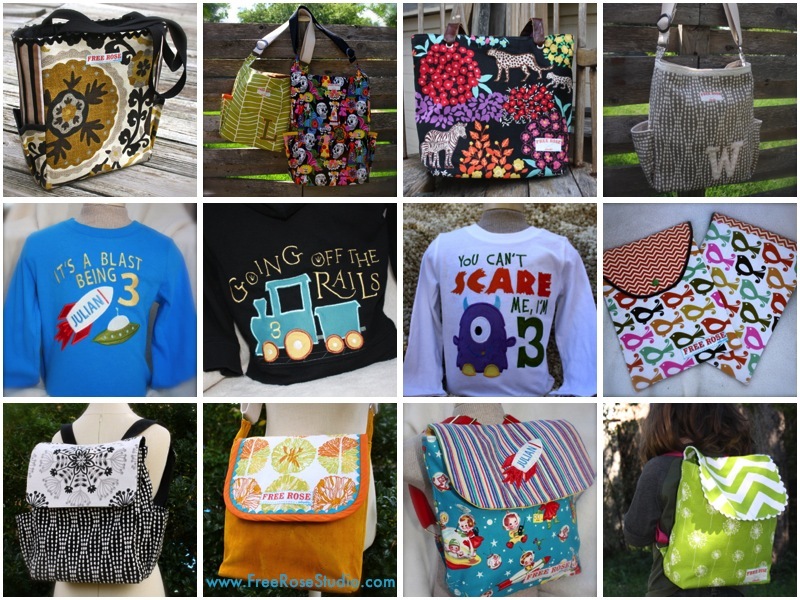 While you are there, take a look at my new “Toddler Tote”, with a personalized patch featuring your child’s name and a tag line of your choice. Thanks for browsing, see you again soon!